Four first-half goals ensured that the Lancashire derby between Preston and Bolton was an entertaining 2-2 draw at Deepdale. Goals from Preston's Callum Robinson and Alan Browne put Alex Neil's side in front, before a quickfire double from Sammy Ameobi and Pawel Olkowski levelled things up inside the opening 45 minutes. 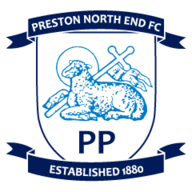 The result means there has been just one Sky Bet Championship win for Preston so far this season, on the opening day against QPR, with Bolton already racking up three victories in the league. Preston looked sharp from the start as Robinson gave the home side the lead in the 11th minute. Manchester City loanee Brandon Barker seized on a misplaced pass in midfield and slipped Robinson through - he sidestepped the onrushing Ben Alnwick to calmly slot home from inside the area. Robinson was involved for Preston's second goal in the 16th minute, as his chipped cross was only half cleared, with Browne swivelling to volley home the loose ball from 20 yards out. 👍 @EddieSkelly from #bwfc blog @LionOfViennaSte was more than happy after @OfficialBWFC came from two behind to draw with @PNEFC at Deepdale. 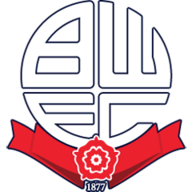 Bolton responded quickly, and skipper David Wheater almost found a way back into the game in the 27th minute, but his header from a corner was gathered by Declan Rudd at the second attempt. The visitors finally got their goal six minutes before the break, with Ameobi's long-range drive deceiving Rudd and flying into the bottom corner. Phil Parkinson's side were level two minutes later, as Bolton counter-attacked on Preston, and Olkowski found himself in space inside the Preston box before hammering a powerful strike in off the underside of the bar. Both sides started the second half with plenty of enthusiasm, but composure was lacking in the final third as substitute Darnell Johnson saw a speculative effort saved on 56 minutes. Bolton almost found a breakthrough in the 66th minute, but Josh Magennis' close-range effort was deflected over the bar by Ben Pearson, with Browne making a brave block from Jason Lowe from the resulting corner. Preston almost regained the lead against the run of play in the 72nd minute, as substitute Lewis Moult's cross reached Robinson at the far post, but Alnwick reacted quickly to make the save. Alnwick denied Robinson again on 77 minutes, as he created some room for himself 25 yards from goal, but the former Sunderland stopper was equal to his drive. There were ugly scenes after the final whistle, with Pearson shown a red card after an altercation with two Bolton players. Alex Neil: "We go 2-0 up, we have chances to make it three through Brandon Barker. They make a block in defence and 30 seconds later we make a error and the ball ends up in the back of the net. That goal knocked us, and lifted Bolton, and from there they looked the more likely to score. "I felt the momentum of the game was going in their favour, so at half-time I looked to change it with subs. I hoped it would make us more solid, with an attacking threat, but I think for both teams the second half was a bit of a stalemate. We are making errors that we weren't making last season and when you're not in control that makes a problem." Phil Parkinson: "We showed character today, real character. We've seen a terrific and spirited performance. Sammy Ameobi was excellent, he scored one, Pac (Olowski) got the other and they both really produced for us today. All over the pitch I was pleased with spirit and determination, but also the quality on the ball, particularly in midfield. "I think the squad is stronger this year, we've got more players with Championship experience. We are pleased with the points return so far and, when you lose your unbeaten run as we did against Sheffield United last weekend, it's important that we responded in the right way today."